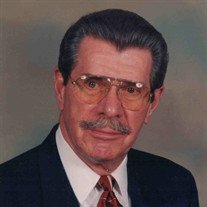 Lowell Francis Hodgson, Lieutenant Colonel, U.S. Army, Retired, went home to be with his Savior on December 2, 2018 at his home surrounded by his family after a short illness. He was 89 and had been a Glen Burnie homeowner since 1963 before moving to Heritage Harbour, Annapolis in 1993. LTC Hodgson was born at Madison, Wisconsin on March 30, 1929 to Howard E. Hodgson and Grace Hegg Hodgson and was educated in Wisconsin. He attended the University of Wisconsin and was in R.O.T.C. and several military fraternities. In 1947 he began his Army career which included tours of duty in Greenland, Korea, South Vietnam and Hawaii. He served as an enlisted man in infantry and military police units attaining the rank of Sergeant First Class and as an officer in the transportation, armor, and military intelligence branches. He was a qualified parachutist with over 150 jumps. LTC Hodgson's many awards and decorations include the Legion of Merit with two Oak Leaf Clusters, The Meritorious Service Medal and the Army Commendation Medal with One Oak Leaf Cluster. Presidential citations were awarded to units commanded by him on two occasions. He served on both the Army General Staff and Joint General Staff and retired in 1974 following duty with the Defense Intelligence Agency. Following military retirement, LTC Hodgson was employed by the J.F. Johnson Lumber Company in Glen Burnie and the Delmarva Sash and Door Company of Barclay, MD in Sales and Customer Service positions and by the Ford Lumber company of Upper Marlboro as a cabinet maker. Most recently he was self-employed as an architectural model maker. LTC Hodgson was an ordained Presbyterian Elder, A member of Harundale Presbyterian Church of Glen Burnie and the U.S. Naval Academy Chapel. His other memberships included the Glen Burnie Masonic Lodge No. 213, The Baltimore Valley of the Scottish Rite, Boumi Shrine Temple, The Military Officers Association of America, The American Legion and the Disabled American Veterans. He enjoyed travel, classical music, reading, art, architecture and all things nautical. LTC Hodgson is survived by Marilyn his beloved wife of 67 years, by their three sons Keith (Kelli) Hodgson of Severn, MD, Neal (Anna) Hodgson of Washington, D.C. and Scott Hodgson of Pittsburgh, PA; five grandchildren; two step-grandchildren; and four great-grandchildren. He was preceded in death by his son, Mark, in 1996. A memorial service will be held at Harundale Presbyterian Church at 2:00 PM on Sunday, December 16, 2018. Conducted by Reverend Amy Duiker. Inurnment will take place at the columbarium of Harundale Presbyterian Church. In lieu of flowers memorial contributions in LTC Hodgson's name can be made to a charity of your choice.